Best known for: “Top quality layout … with perfectly positioned pricing. Flamingos offer the most decent value and great challenge” Golf Guide Magazine. 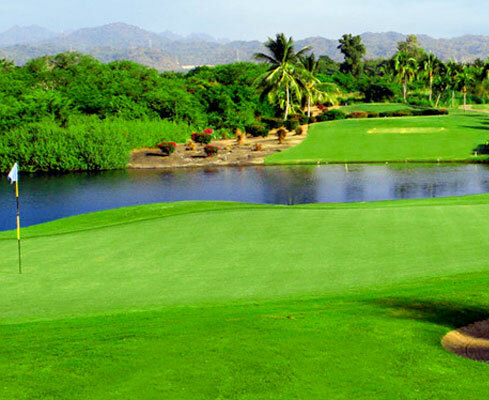 Flamingos Golf is Puerto Vallarta´s favorite golf course due to our stunning design and unparalleled scenery. The course has 18 championship holes designed by Percy Clifford creator of some of Mexico´s top courses. Golfers of all skill levels appreciate Flamingos because it is challenging and fair. In addition to its great design, the course is also set apart from others in the area due to its beautiful rolling hill terrain, lush tropical forest and natural lagoons and mangroves. Book with us and save $15/round! Nature lovers will be struck by the unspoiled scenery and the presence of various tropical and migrating bird species. The staff at Flamingos is friendly and professional and will do everything we can to make sure you have a great golf outing. Flamingos was built in 1970 as a cornerstone of the Nuevo Vallarta / Flamingos resort development. Over the years, the course has undergone important renovations and has hosted numerous national tournaments. The course today is fully mature and unlike any other one in Puerto Vallarta. Flamingos Golf Nuevo Vallarta continues to be Vallarta’s most played course despite the addition of half a dozen more courses in the area. Flamingos Golf is a 6853 yard long par 72 championship course with slightly narrow fairways that are naturally laid out on gently sloping terrain. The course has Bermuda grass in both fairways and greens and has 9 water hazards and 43 bunkers, most of which protect the approaches into its slightly fast greens. Flamingos has an excellent design that will allow you to obtain dramatic results if you plan your strategy well and play target golf. This includes not only ball placement on fairways but also club selection on holes that have ocean breeze and smart pitching. The course has 4 tee-off marks and will accommodate long and short distance hitters and will provide the right level of challenge for players of different levels. Club storage Reservations are requiered particulary during high season. * All Prices in USD and may vary without previous notice. 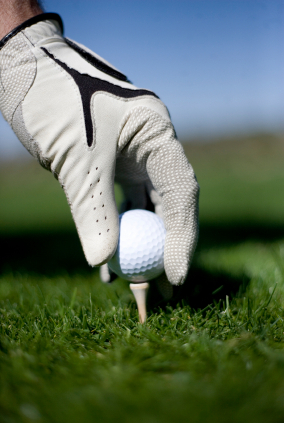 The Flamingos golf course is surrounded by natural estuaries and dense tropical vegetation. And within the course there are several lagoons, fruit orchards and palm trees. All of these, including nearby properties which extend to the Laguna del Quelele and the canals that connect to the Nuevo Vallarta marina are the habitat of numerous animal species. Easily visible are numerous migrating birds such as egrets, herons, cormorans , ducks, wood storks, roseate spoonbills, white ibis, black necked stilts, as well as multiple local birds such as parrots, jays&apos;s treak-backed orioles, yellow casiques, woodpeckers, tropical kingbirds, quails, grey hawks and brown pelicans. Also present although often times more elusive are crocodiles and iguanas. Can a person get a 2 or 3 month membership? Would like one from mid January to mid March.